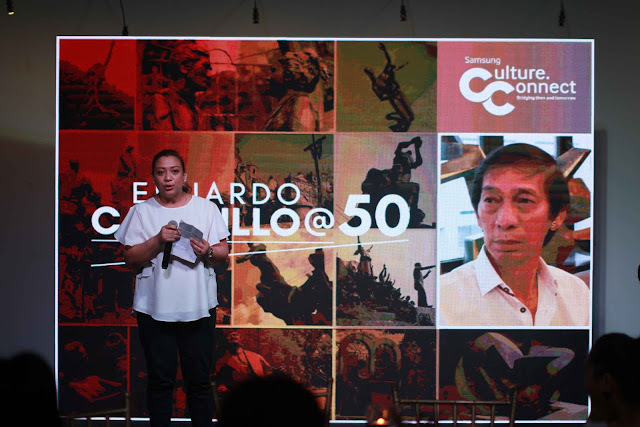 Samsung and the Yuchengco Museum have just launched Culture Connect: Castrillo @ 50, an Instagram contest, which aims to inspire Filipinos to embrace their nationalistic pride and express it on social media. This is the sequel of last year’s launch of Culture Explorer wherein Samsung helped celebrate the Filipino culture and heritage through exhibiting various plazas in Manila. Culture Explorer is an innovative mobile application that uses augmented reality technology to help people, especially the youth, learn about Manila’s plazas and historical landmarks. Also, to celebrate Eduardo Castrillo’s 50th year as a professional artist, Culture Connect is set to feature his works this year. Castrillo is known as the monument maker, having produced figurative historical and religious monuments, and abstract environmental works not only in the Philippines but in other countries as well. Anyone can join the contest by posting a photo of any of the select public art monuments on Instagram, and expressing what it means to you as a Filipino. Tag @CastrilloCultureConnect and use the hashtags #SamsungCultureConnect and #Castrillo50. Contest runs from August 1 to 31, 2016. Winning entries will be announced online on September 13, 2016 and will be awarded on October 13, 2016.